The Linksys Connect Software is used to manage your wireless network and devices that you want to connect in the easiest possible way. A Setup CD containing Linksys Connect is included in each device. If you don’t have the CD, this article will guide you on how to download the Linksys Connect Software for your device. 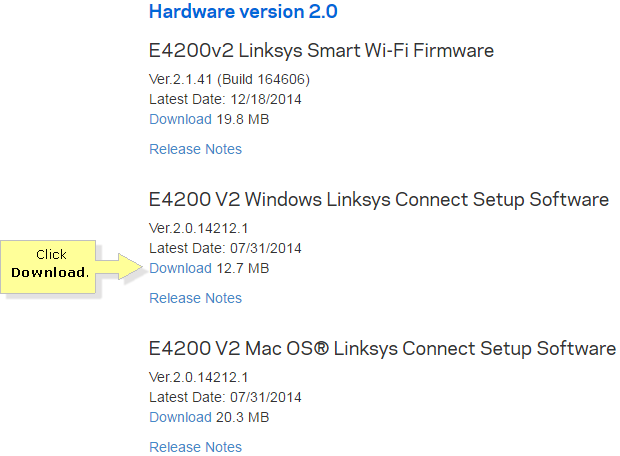 Take note that NOT all devices are compatible with Linksys Connect. 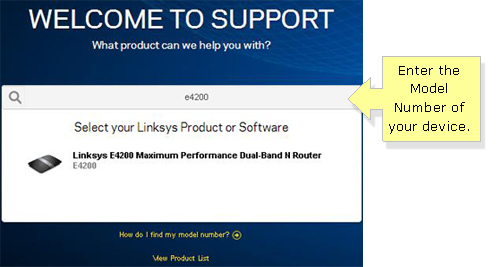 Refer to the table below for supported devices that work with the Linksys Connect Software. 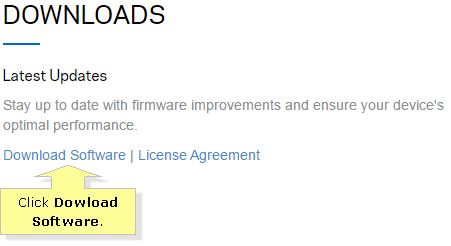 QUICK TIP: If your device is compatible with the software, you may click on its link below to proceed to the Downloads page. NOTE: Linksys Smart Wi-Fi Routers have a free service bundle called the Linksys Smart Wi-Fi that allows users to access, configure, and check the home network instantly from anywhere. To know more about this, click here. 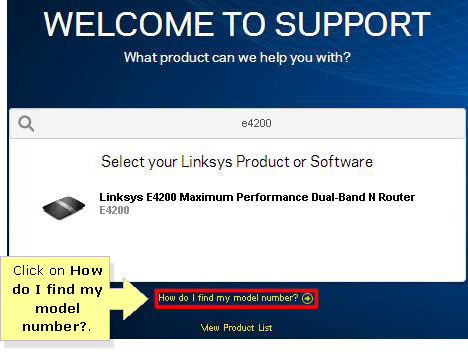 Go to the Linksys Support Site. Enter the Model Number of your device in the Search by Product or Model Number search field and select the model number of your device. NOTE: The example below uses the E4200 router. I'm not quite sure what my device's model number is, how do I figure it out? Flip the device over, and you'll find the model number on the label. If you are still having trouble finding your device’s model number, you can click on How do I find my model number?. How do I know which hardware version I am using? The hardware version can be seen together with the model number on the label located under the router. It usually follows the vx format, where x is any given number (i.e. v3). If you do not see any number, then the device's hardware version is 1. You will be directed to the product's support page. Scroll down and click Download Software. 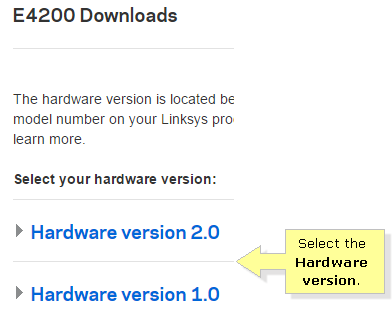 Select the Hardware version of your device. Select the Operating System (OS) of your computer and click Download. 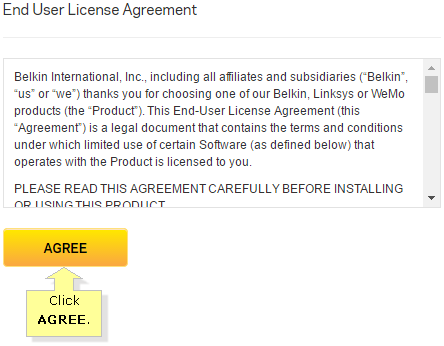 When the End User License Agreement prompt appears, click the AGREE button. NOTE: Most browsers will automatically save the downloaded file on the Downloads folder with a .zip file extension. But, do not be confused if you see a .exe or .dmg file extension for Linksys Connect downloads. If you are downloading the software for a Windows® OS, .exe will be the file extension. If you are using Mac OS® then .dmg will be used instead.